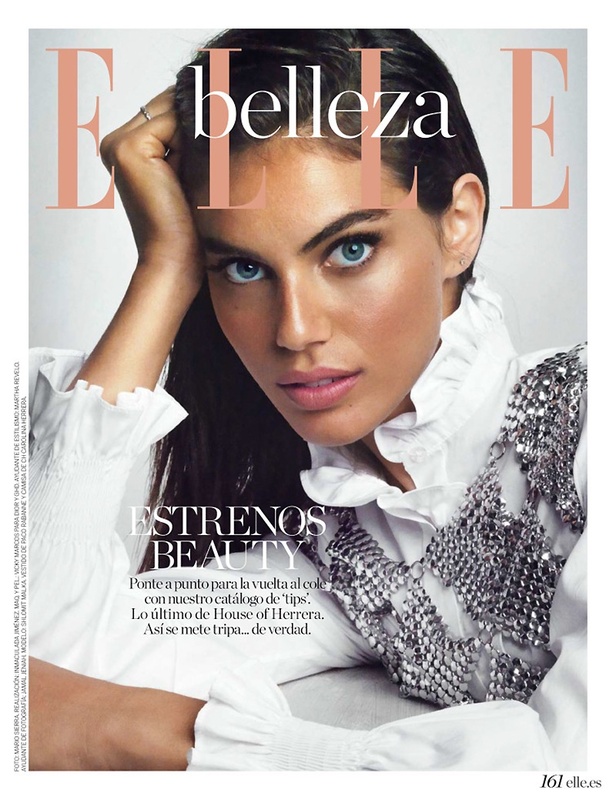 Shlomit Malka is ready for fall on the September 2017 cover of ELLE Spain. Photographed by Mario Sierra, the Israeli model poses in a hat, embellished jacket, skirt and heels from Prada. In the accompanying spread, Shlomit shows off stunning beauty looks for the autumn season. 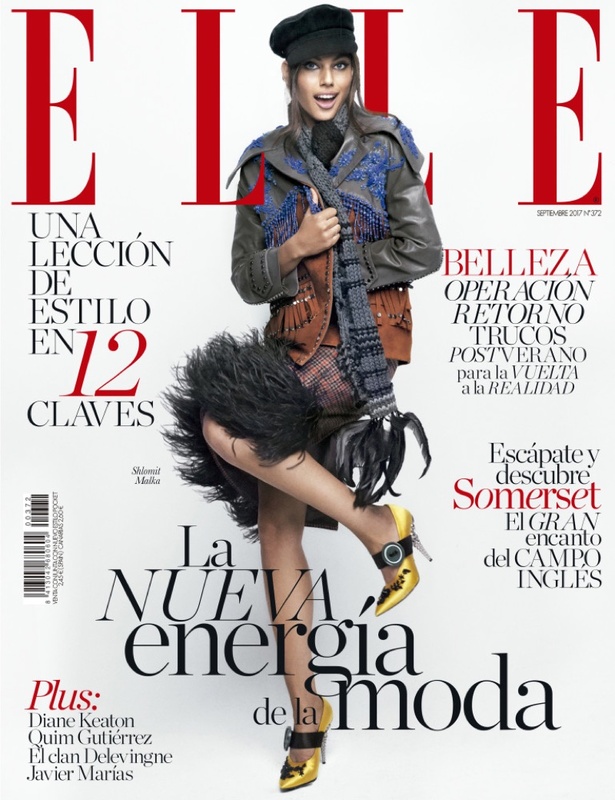 Styled by Inmaculada Jimenez, the brunette poses in looks ranging from 80’s inspired to Parisian chic. Vicky Marcos worked on hair and makeup for the beauty spread.